I’m writing this early in the morning on the day we say goodbye to Paul’s mom, Dorothy Gerhardt. She passed away unexpectedly early on Christmas morning. She had to move to a nursing home earlier in the month, and had been declining fairly steadily in the past months, but nobody was prepared for this. She was 85, a truly admirable woman. Paul has been here with his dad since the first week in December. I was supposed to go back to England last Saturday; I’m now scheduled to go back tomorrow. It’ll be quite an odyssey: a three and a half hour bus ride down to NYC, spend a couple hours with my sister, and then go to JFK airport for the approx. 7 hour flight to Heathrow. With heightened security measures to endure at the airport, I’m sure. At least I get to see the Boyz again when I get over there!! I’ll be able to pick them up from the kennel on the way home from the airport. 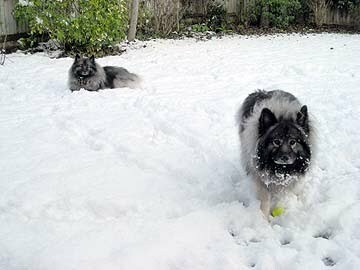 I am so so grateful for the wonderful kennel they were boarding at; they were able to keep the Boyz for those extra 5 days during their busiest time of the year. It is hard to say when Paul will feel he’s wrapped up all his mom and dad’s affairs to the point where he can get back to England with me. I’ll probably be on my own there for a few more weeks. Due to not knowing if his dad will be OK on his own/how often he might need to get to the US to check on him, and some other things going on with Paul’s job, we might be ending our stint in the UK early. We’re hoping to remain until September but even that is not certain. It would be good to have another 6 months, but I’m surprised to find myself saying that I’d be happy to get back to the US by summer. Living in the UK has been fascinating, and wonderful for the travel, exploring the country, and gaining new perspectives on the world from living outside the US, but it really hasn’t been that great for Paul. And I miss my studio, my kiln, and my parents, who also live in Boulder. We’ve had such well-ordered and predictable lives until now, that making the decision to live in the UK last year felt like a welcome excuse to shake things up a bit. But it looks like the new decade will be starting off in quite a state of uncertainty! May you and yours have a healthy, peaceful and prosperous new year and new decade.